Hydraulic steering provides comfort and increases the safety of driving. It helps the driver to hold control of the car even in the case of bursting of the front tire. The safety of this expensive device depends on the timely maintenance. 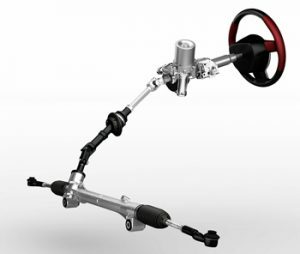 The need to reduce the effort applied by the drivers to the steering wheel (which is especially important for the trucks) led to the creation of power steering. to change the filter element and oil once in 1-2 years. You should also replace them, if the color of oil has changed. Previous Post: How to choose a car alarm? Next Post: How to “kill” the motor of the vehicle.